Zayn Malik anxiety has been in the recent press after cancelling several shows due to anxiety/panic attacks. Zayn’s first attack may have been on stage, or in public in front of many people. He has now built a connection between his attacks, and being in front of people. The fear he experienced when he felt his first attack would have been so traumatic, that the fear of experiencing these sensations again is keeping him in this cycle. When he is aware that he has a concert approaching, he suffers from something called anticipation anxiety; he fears the event and worries in case he has another attack on stage. This fear is so intense that he has to find a way to experience relief; this is why concerts are cancelled. The more often this happens, the more stronger the connection between “fear” and “performing on stage”. 2. Excitement or Fear causing Zayn Malik anxiety? In many cases, people who suffer from anxiety often also have situations where their brain mistakes a sensation and sends you down the panic route. When you think about it, the sensations you feel during anxiety and excitement are very similar; faster heartbeat, blood pressure higher, hyperventilation etc etc. When a person, who suffers from anxiety, feels a rush of excitement, his brain sometimes mistakes the sensations as those of anxiety, and sends him down the anxious path. This is what that person’s brain is used to, and it is an easier path to take, because it has happened so many times before. The sufferer often feels that he is the only one who feels this bad, and can’t visualise that there will be a time when he will be able to get back on stage, without having an attack. 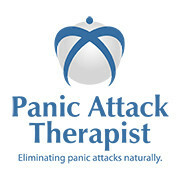 However, by working with a Panic Attack Therapist, he can learn to overcome these sensations and start to get control of his life again. If you are suffering from this and need help, give me ring on 0778 215 8008. I am available in UK and worldwide. If you would prefer therapy online, please click here.